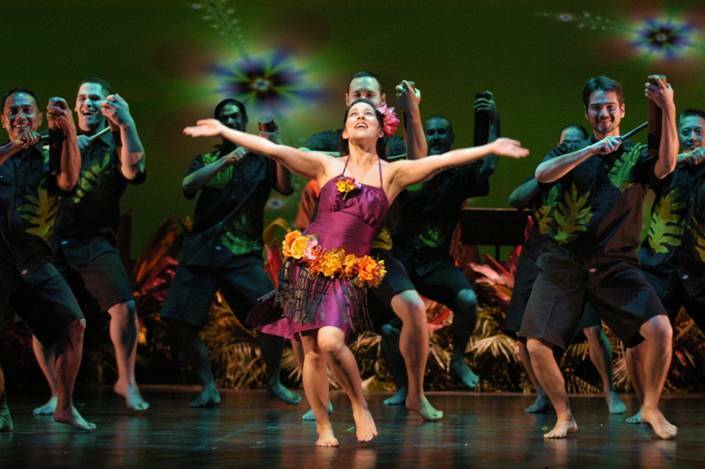 SAN FRANCISCO, CA – One can get a vicarious trip to the Hawaiian islands in October, when “NĀ LEI HULU I KA WĒKIU" the Hula award-winning dancing troupe, returns to the PALACE OF FINE ARTS with “The HULA SHOW 2012” giving us the opportunity to listen to Hawaiian music, observe colorful costumes and see the sensuos dances of Hawaii. 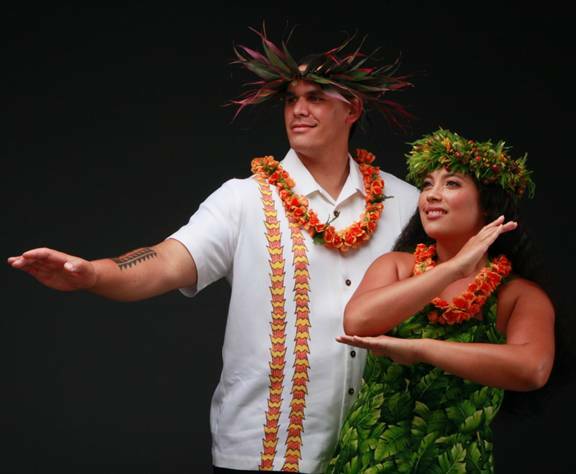 In an exlusive interview with the troupe’s Director, PATRICK MAKUAKĀNE a creative force in the Hula world, CULTURAL WORLD BILINGUAL, talks with him about the troupe he founded in this city twenty-seven years ago. “NĀ LEI HULU I KA WĒKIU,“ the name of the troupe, means “The Many Feathered Wreaths at the Summit,” says PATRICK, explaining to us that Hawaiians use wreaths on their heads (the summit) and that feathers were considered a treasure in traditional Hawaii. “The Hawaiians did not have gold or silver,” he adds, “So they used feathers to decorate their headdresses, so by comparing my dancers with feathers it likens my dancers to esteemed and precious jewels. Nobody knows how “HULA" the dance, started. We know it goes back very far to Polynesia, but we don’t know exactly when it started in Hawaii or when it separated itself from the other Indonesian dances, because Hawaiians, who come from the Indonesian quarters, moved through Samoa and Tahiti. How is "HULA" different from other dances? we ask. Dancers from Patrick’s troupe "N Ā LEI HULU I KA W ĒKIU"
“Included in the show are also the sort of dances that we describe with the term “Hula Mua” that for me is the HULAS that use traditional dance movements combined with modern music which is not Hawaiian. In the past and present we have used everything from Pop music, electronics, Jazz, and a huge mixture of musical genres. The word “Mua” has an interesting meaning, because it could mean something from the past or something that is ahead in the future, so what it means to me is a dance that comes from the past and moves into the future." 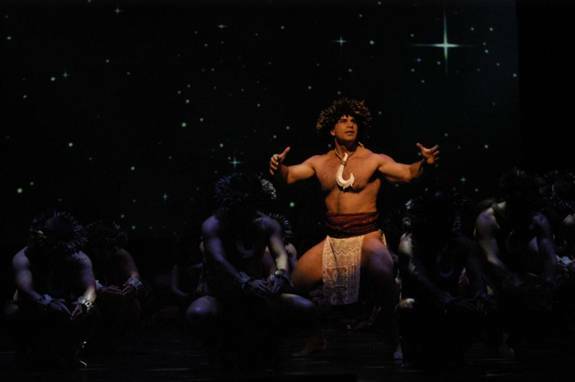 PATRICK MAKUAKĀNI who was born in Oahu the main Hawaiian island is both a dancer and a well known Hula instructor in S.F. This year his school has over 300 students. He was been recognized in the community several times and has won several awards, among them the KGO-TV 1998 “Profiles in Excellence, the Goldie Award from the Bay Guardian for Outstanding Bay Area Artist in 2003, and a Creative Work Fund Grant for a new piece by the S.F. Ethnic Dance Festival in 2008, to name a few. "My company has been here for 27 years" says PATRICK, "and I feel really comfortable with being a Hawaiian man preserving my culture in San Francisco, because San Francisco is a wonderful place for any artist." “THE HULA SHOW 2012” will be presented at the Palace of Fine Arts in San Francisco on Sat October 20 at 8pm, Sunday October 21 at 3pm, Friday, October 26 at 8 pm, Saturday, October 27 at 8pm and Sunday October 28 at 3pm. An special matinee for children will take place on Sunday October 28 at 12 noon (for an hour show) Tickets may be purchased through City Box Office at 415-392-4400 or at cityboxoffice.com or tickets.com locations.